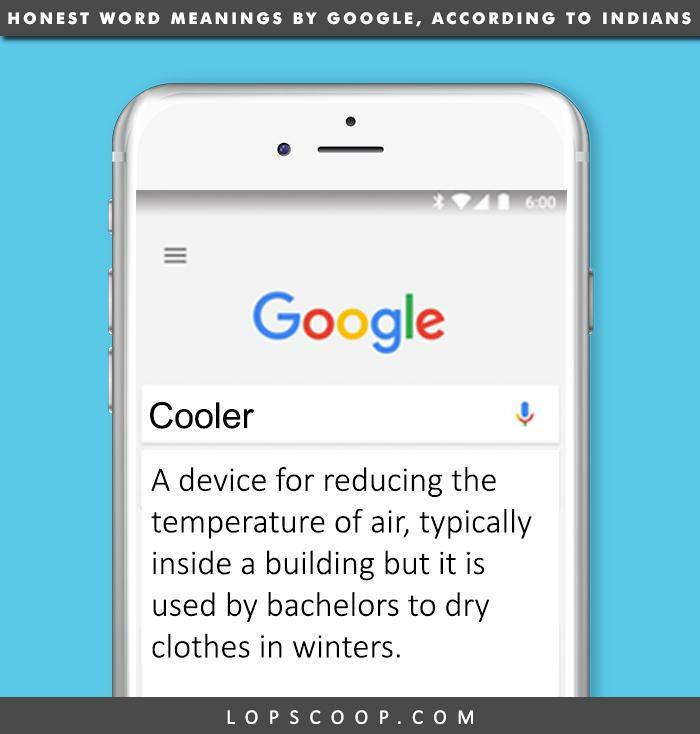 These honest word meanings show how Indians are good at jugaad. 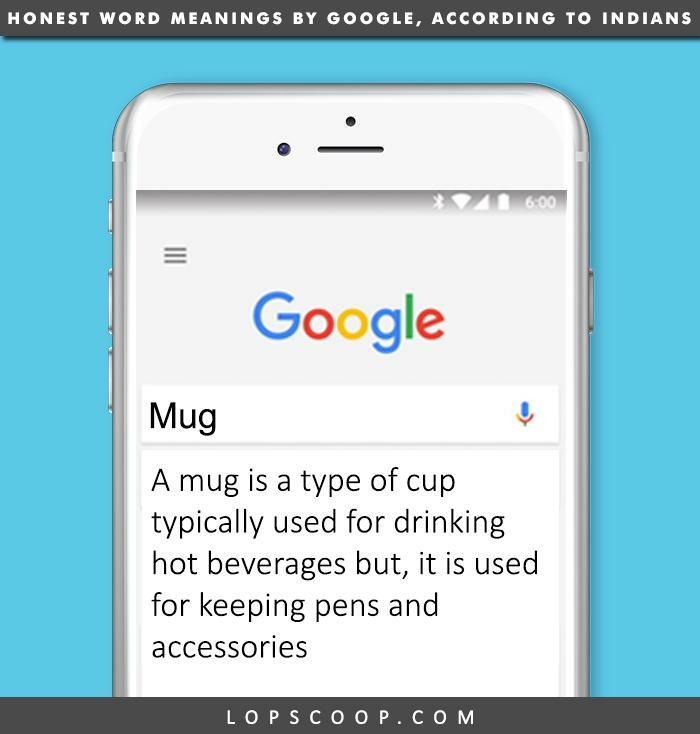 Google is a place, where you get information about mostly every single thing that exist in the world. 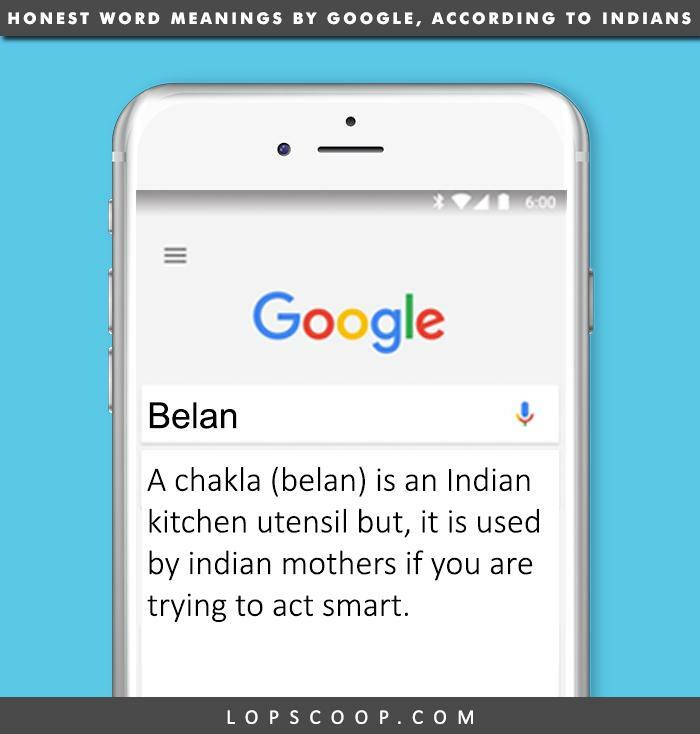 Whether you are looking for a good food, route to your weekend destination, Google can help you with everything. 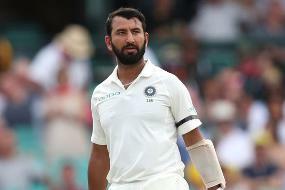 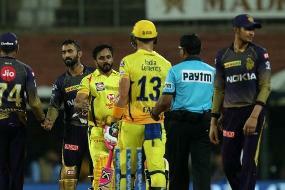 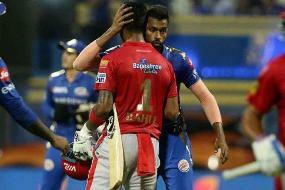 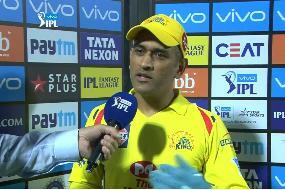 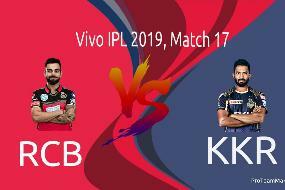 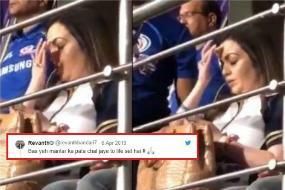 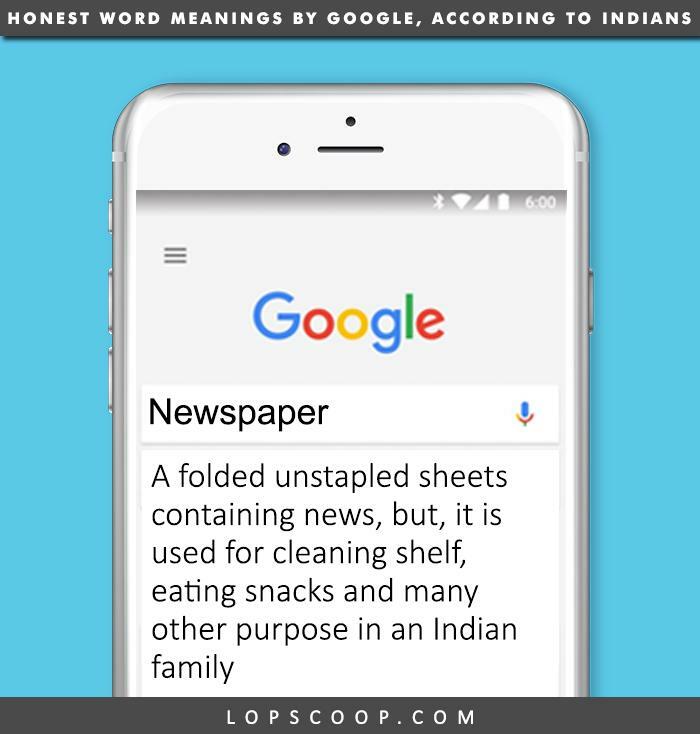 Indians are jugadu when it comes to getting their things done in an easy way. 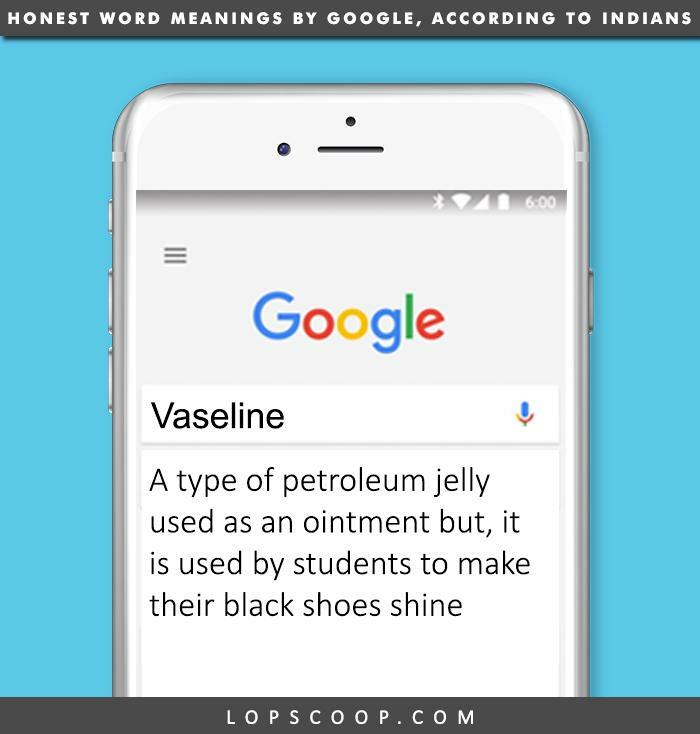 Have you ever a given a thought that how would it be if, Google would show the meanings of different products exactly the way it is used in India? 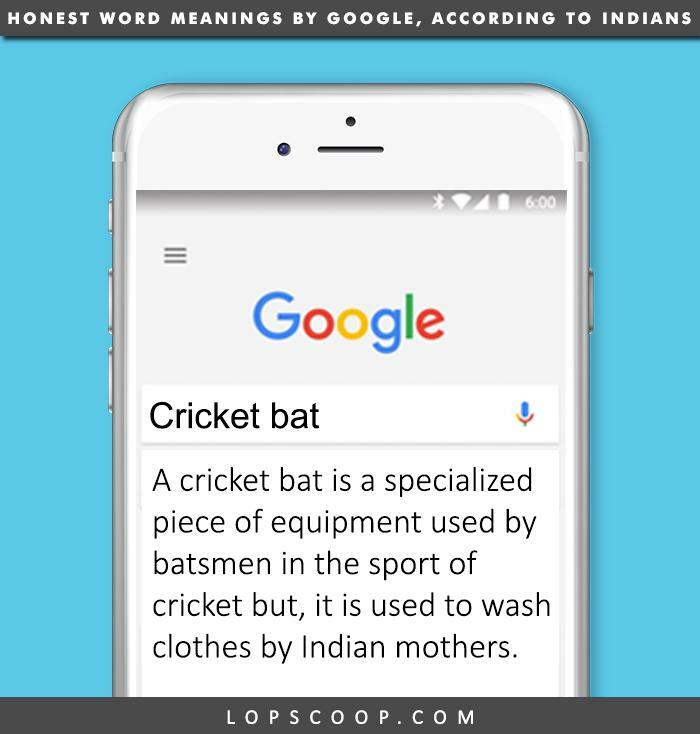 Today I will let you know the honest word meaning of things on google that we use in our daily lives. 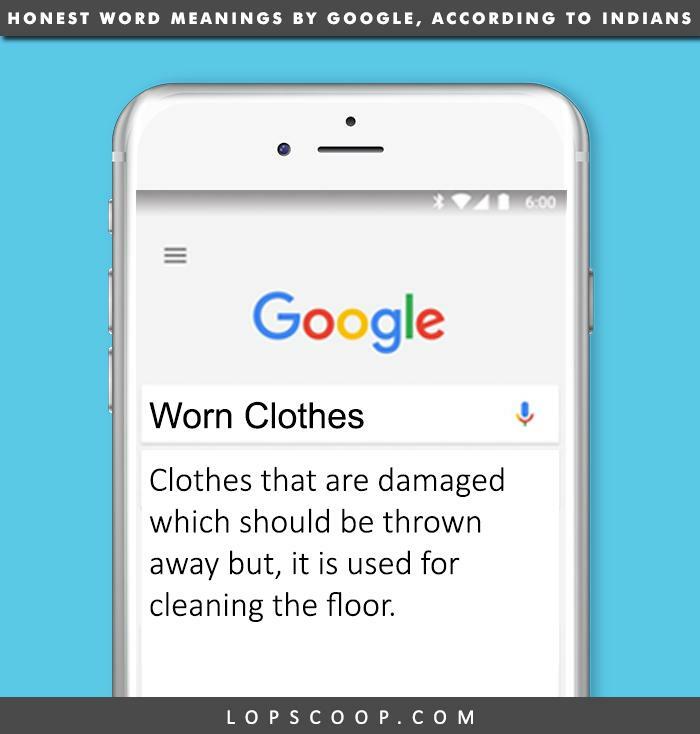 Here is the list of 9 things and their honest word meaning on google, according to Indians. 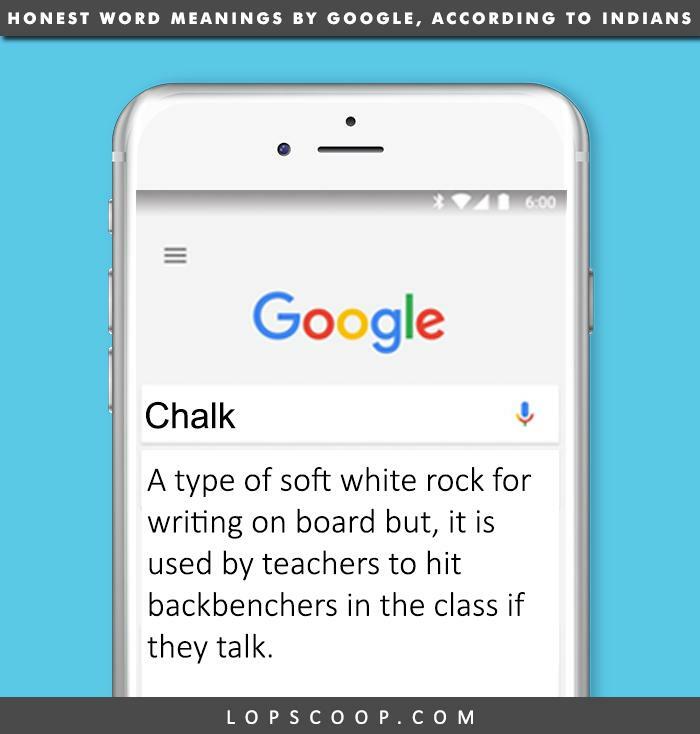 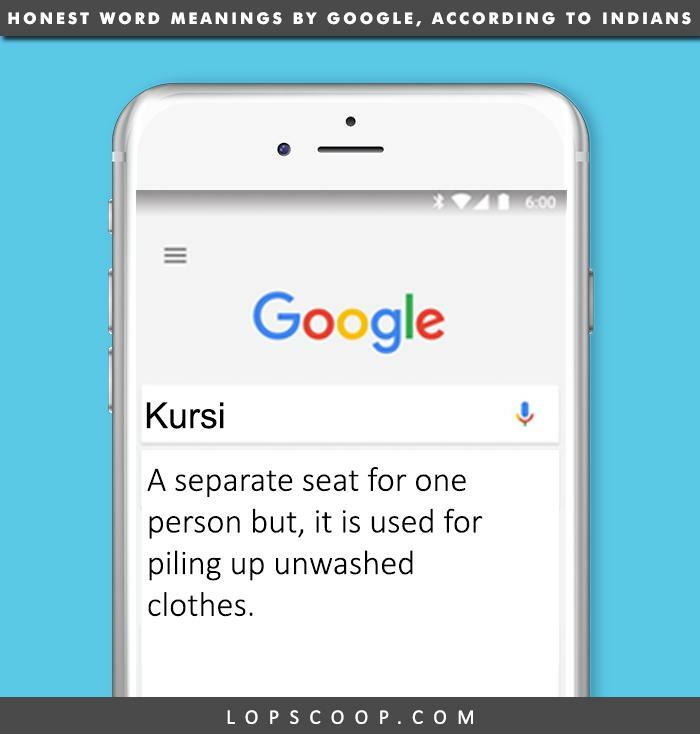 Like, comment and share these honest word meanings on google according to Indians.